Happy Friday all!!!! What a great day huh? I love Friday's! Welcome to this weeks Friday Video here at Mrs. Lincolns Inkin'!! 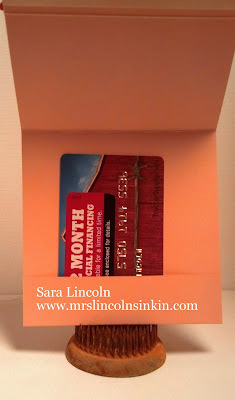 Today's video is showing you how to make the cute gift card holder that i posted to my blog earlier this past Monday. You can check that entire post out HERE. 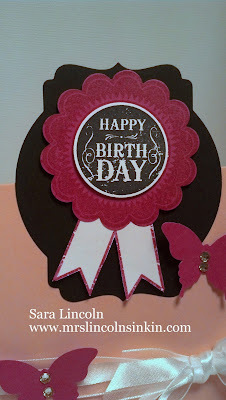 This past week i have been showcasing the 2 awesome stamp sets Perfect Blend and Sassy Salutations. I have loved getting creative with all the images in the sets. However, for the video today i will be using another new set that i just received, Blue Ribbon! I got it as a gift from my up-line for the work that i have been doing on my website! I was so greatfull and shocked that it was being reconiged and want to thank everyone that visits and makes me love posting everyday. I didn't like how the Blushing Bride Elegant Butterfly was looking so i changed him to Melon Mambo and also added him a friend down on my White Organza Ribbon. Put some bling on them with my Jewels and they were good to go:) The measurements again for the project today are super easy, just a few cuts and scores. 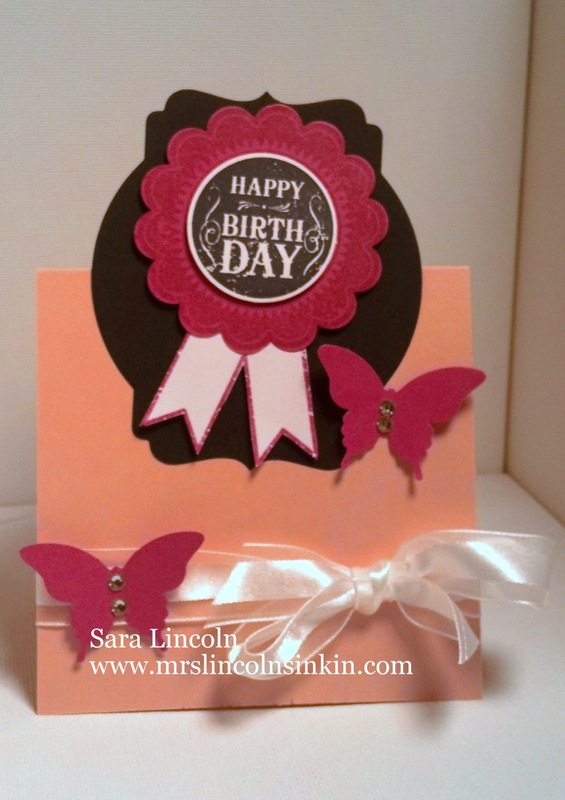 The base of your card needs to be 9" x 4" scored at 1" and 4". That's it. It really doesn't get any easier than that right? See a product that you like? Order from my online store 24/7.